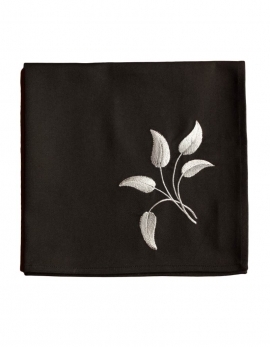 Table runner and napkins are composing this poetic and glittering moonlightful table linen set : the bright silver color thread embroideries are flotting on a black cotton canvas . 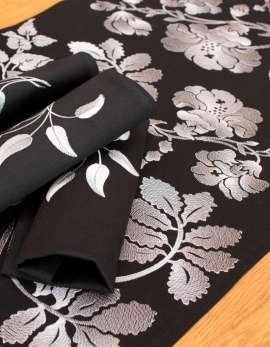 Inspired by a drawing made in XVIIIth century by Ana Maria Garthwaite, this model joins classicism and modernity. French fabrication.